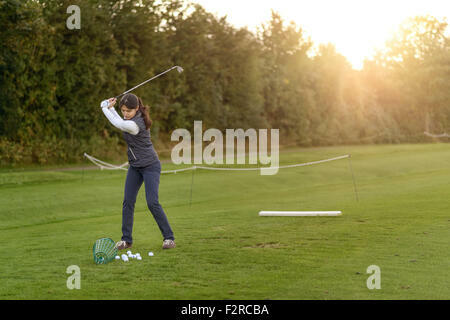 Golfers practicing their swing on a driving range. 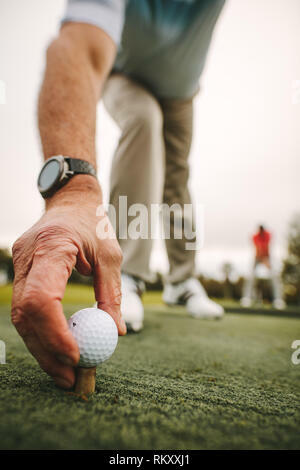 Close up of senior golfer hand placing the golf ball on tee at golf course driving range. 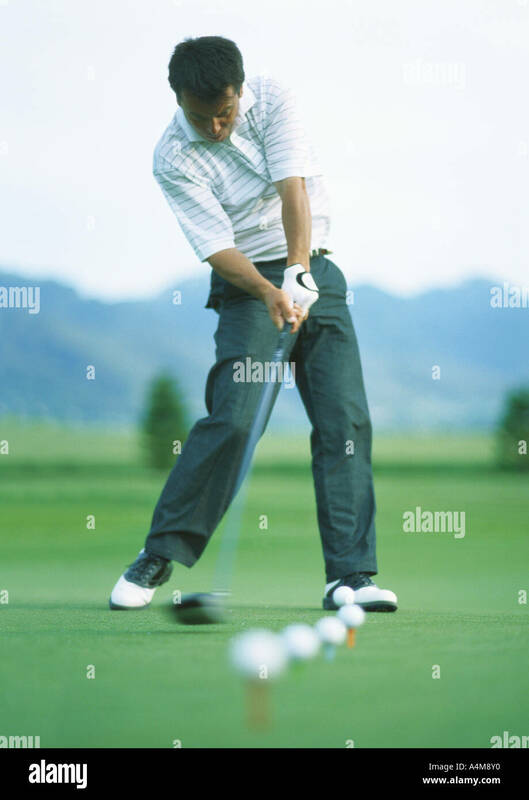 Mature male golf player placing golf ball on tee at green. 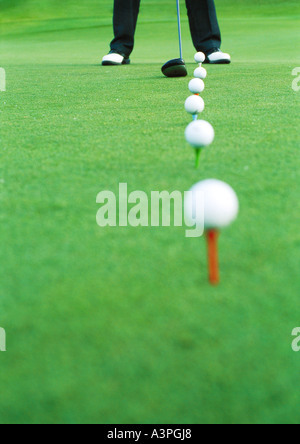 Golf ball on tee with male player practising a shot at driving range. 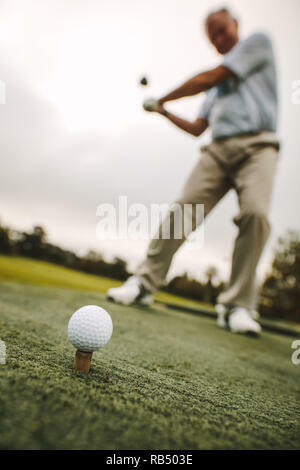 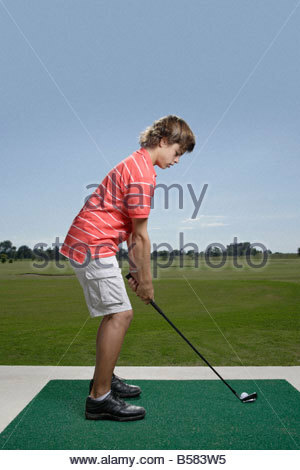 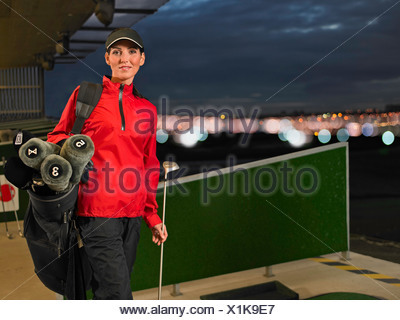 Focus on golf ball on tee with golfer taking a shot. 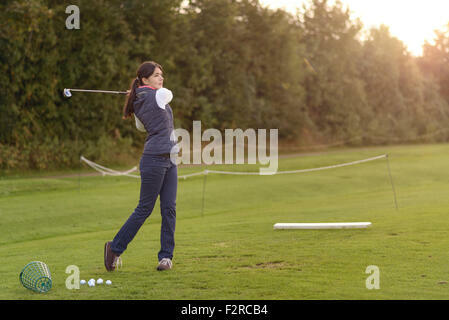 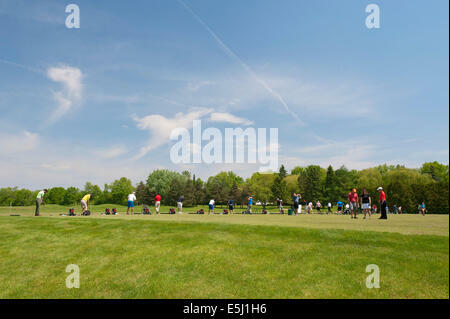 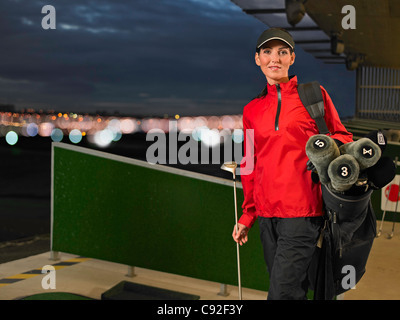 Professional golfer taking shot on the golf course. 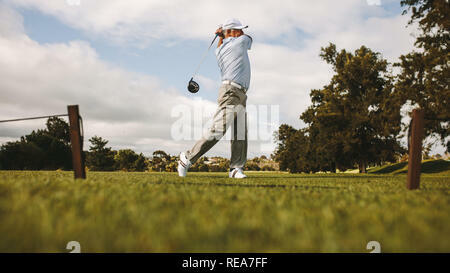 Senior golf player swinging golf club on the green.